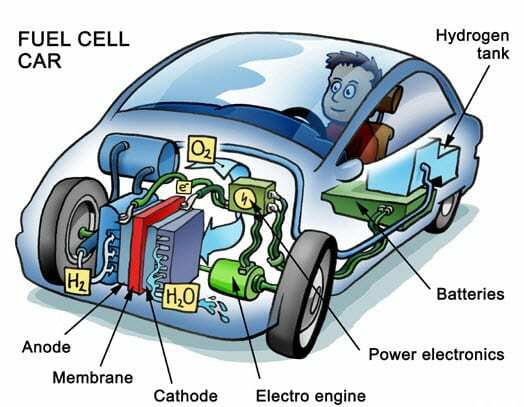 Fuel cells are devices that are capable of converting chemical energy acquired through a certain type of fuel into usable electricity. The most common type of fuel used in this process is hydrogen. 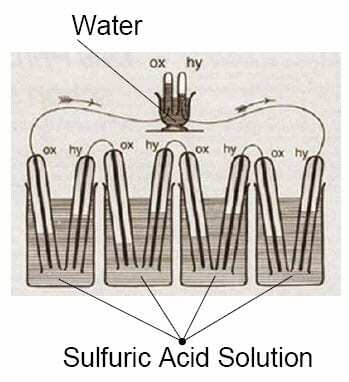 Hydrogen fuel cells are not a new technology, as some would suggest. The technology first appeared as a concept in 1838, developed by German scientist Christian Friedrich Schonbein. 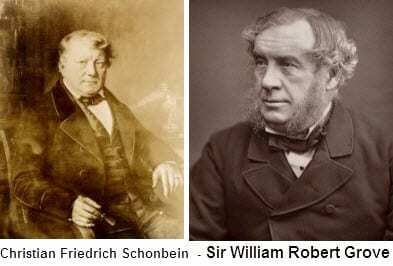 In 1839, the first fuel cell was publicly demonstration by Welsh scientist Sir William Robert Grove, who based his work on that of Schonbein’s. Since fuel cells were first developed, they have come to take many forms. Some of these energy systems use methanol as a fuel source to generate electricity, while others use organic waste. The common thread linking all fuel cell systems together is their capability to produce large amounts of clean energy. Despite their potential to produce large amounts of electricity, fuel cells have been shunned for decades due to technological shortfalls that made them vastly inefficient. Only over the past few years has fuel cell technology reached the point where the energy systems can be considered viable. Fuel cells produce electricity through an electrochemical process. Though there are various types of fuel cells available in the world today, most follow a somewhat straightforward design. 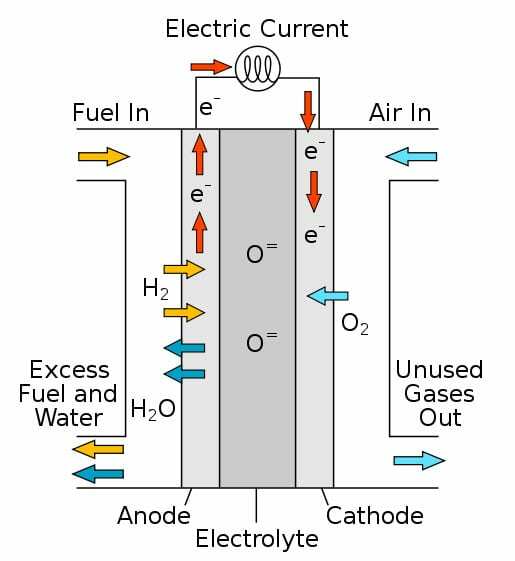 Typical fuel cells are made up of three segments: Anode, electrolyte, and cathode. Two chemical reactions occur within a fuel cell, the results of which are based on the fuel that is used for the energy system. The electrolyte that is used in a fuel cell is highly dependent on the type of fuel cell it is. If hydrogen is used as a fuel, the anode acts as a catalyst that is capable of turning the fuel into electrons and ions. Next, the cathode converts the ions into the fuel cell’s waste produce, which is typically water vapor, while also using the electrons to generate an electric current. For years, fuel cells have been used as industrial power systems. Since about 1980, hydrogen fuel cells have been growing in popularity in the auto industry. Most of the world’s major automakers are now planning to commercialize hydrogen-powered vehicles that are equipped with small, yet powerful fuel cells. Backed by the interest of the auto industry, fuel cells are also beginning to enter into other industries and finding more support as a residential energy system. 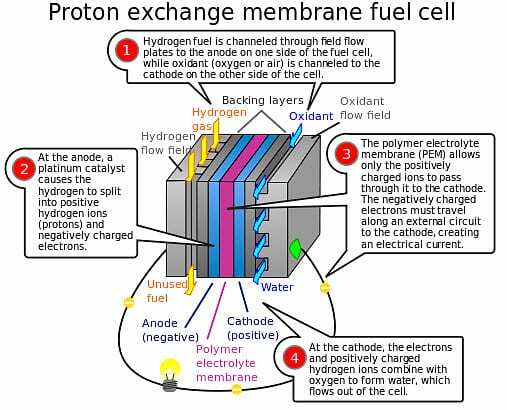 One of the more popular types of fuel cells are proton exchange membrane (PEM) fuel cells. These fuel cells make use of a proton-conducting polymer membrane that acts as an electrolyzer. This membrane separates the anode and the cathode sides o the fuel cell system. Hydrogen is diffused on the anode side of the fuel cells, producing protons that travel through the membrane to the cathode. The electrons produced by the process are fed into an external circuit, thus creating an electrical charge. PEM fuel cells are most commonly used by the auto industry when developing hydrogen-powered vehicles. The fuel cell industry is poised for promising growth, largely due to the support that these energy systems are seeing in many industries. According to the Fuel Cell Today Industry Review 2012, 2011 was one of the most lucrative years the industry has seen, with global shipments growing by 39% over what they had been in 2010. The report suggests that this growth will continue well into the future, meaning that the fuel cell industry may be poised to play a major role in the global energy economy. The global auto industry has taken a strong interest in fuel cells. Most of the world’s leading automakers, including Mercedes-Benz, Toyota, Honda, and Hyundai, have plans to release these vehicles in the near future. Hyundai is the first to begin mass producing its fuel cell vehicles, which are set to see commercialization by the end of 2014. Other automakers have plans to begin releasing their fuel cell vehicles in 2015 through 2017. Companies like Honda and Ford are opting to wait longer to release their fuel cell vehicles due to concerns regarding the capabilities of the hydrogen fuel infrastructure taking form in some countries. is it possible and feasible to convert enf existing car from gas to fuel cell . In Britain about 13 years ago i visit in Plymouth south east of britain a shop that was doing the conversion of gas to electric motorisation. Apparently in Britain at that time where charging a pollution tax on new gas car of 10 thousand dollars , but if owner refurbish after 5 years of using gas to electric THEY RECEIVED BACK THAT TAX could get back that pollution tax that where charge to the OFFSET THE NEW ECO CONVERSION . Excellent article. I would like to get on your mailing list. I now own shares in a company called PLUG that produces fuel cells for lift trucks. The lift trucks are used by many companies in warehouses. To name a few: they are Walmart, Amazon and Home Depot.